Last Thursday, August 14, we held our first Interhouse Spelling Bee Contest in the School Gymnasium. 5th and 6th graders represented the houses of Sutherland, Robertson, Sommerscales, and Mackay in a gripping contest that had us all on the edge of our seats from beginning to end! Students had just 60 seconds to correctly spell the most number of words in English, all taken from Junior and Senior English academic programmes. Our boys were encouraged by their English teachers and classmates to represent each house, and were cheered on by students from Years 5, 6, 7, 8 and their corresponding House Captains and Deputies from 4 Medio, who guided and motivated them to give their best! We are happy to announce that Somerscales House became victorious in the competition, followed by Houses Sutherland, Robertson, and Mackay. Our upcoming Interhouse Competition, an English Poetry Contest, will take place on Thursday, August 28: ENGLISH POETRY CONTEST! 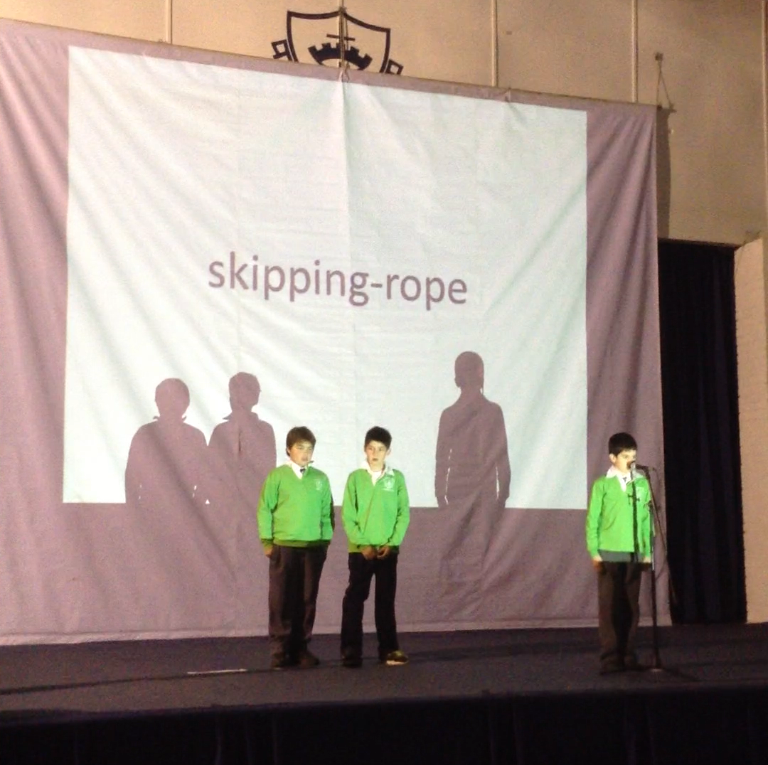 Take a look at our awesome Spelling Bee Clip!